As a solution provider, RN & Associates is a supplier of two main types of fencing – wire mesh fences and security fences – to clients who require a high level of security as well as flexibility in their deployment. Wire mesh fencing uses low carbon steel wires and is weaved and welded in its structure. It provides excellent strength and is easy to set up. A flat, two-dimensional profile improves visibility, by allowing vision through the chain link. As a perimeter fence, such mesh fencing encloses areas such as a green field, workplace, airport and other places. It is both easy on the eye and highly effective, excelling in a wide variety of settings. We also provide security fencing, also known as “prison mesh”, as a solution to many clients. Durable and high performance, it comes in the measurements of 3” x 0.5” x 8 gauge (“358”) which equates to approximately 76.2 mm x 12.7mm x 4mm in metric. For applications where security is topmost, RN & Associates has a solution that meets strict requirements. With small openings, the fencing is made to be difficult to climb. Robust wire and welded joints make it impossible to be cut by conventional wire cutters. 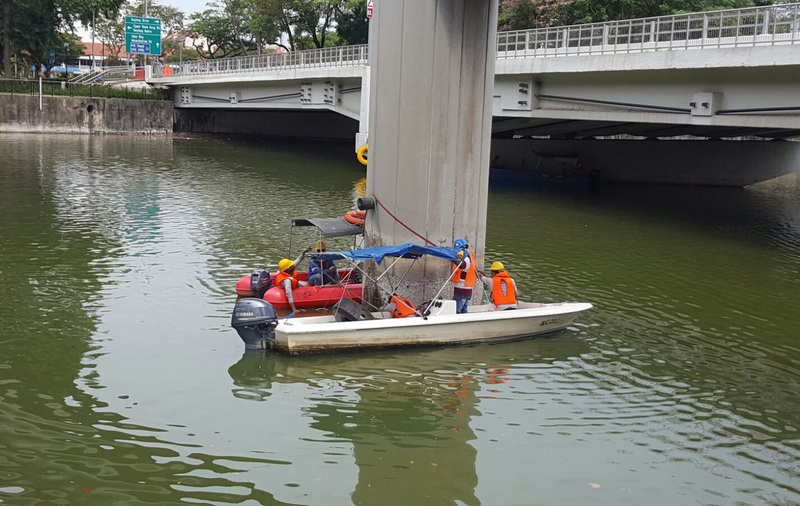 With construction projects so common in Singapore, it is important for companies involved to reduce the noise pollution that may emerge as a result. Loud environmental noises have been known to not just annoy but also cause serious damage to one’s hearing. This is the reason why construction sites today have turned to noise barrier panels that cut down the decibel level for people are live nearby. 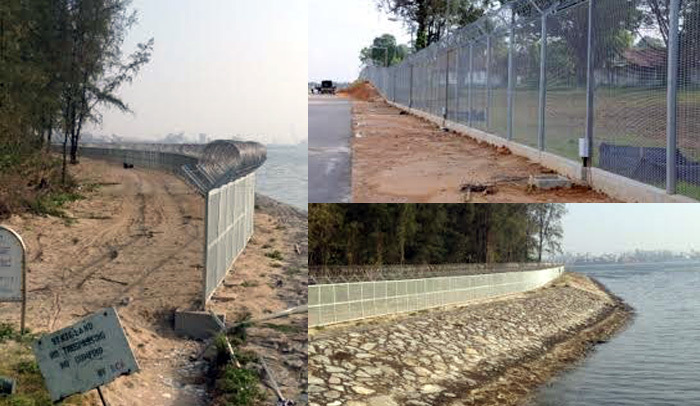 RN & Associates is a distributor and reseller of a number of noise barrier panels and solutions, which are tried and tested to effectively reduce the sound impact of construction works. Easy to set up and highly flexible in their deployment, these panels have been field-tested to provide measurable results. As a builder ourselves, we have used these panels in various projects to scale down of the noise level. 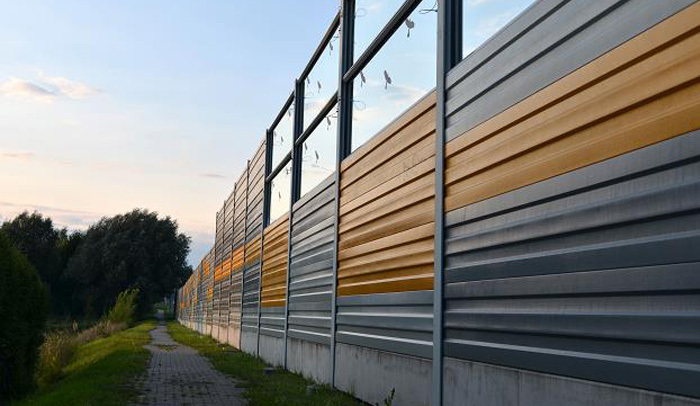 With top quality solutions, we are confident our noise barrier panels will satisfy the needs of clients, who strive to reduce disturbance in a neighbourhood even as they construct the latest buildings and carry out other works in the vicinity. We are specialised in coring and cutting services, which allow for penetration through a structure or the ground to allow for additional services. These include vent ducting for air-conditioning and cabling. Working with an affiliated Qualified Professional, we are able to verify that structural integrity is maintained after the work has been carried out. 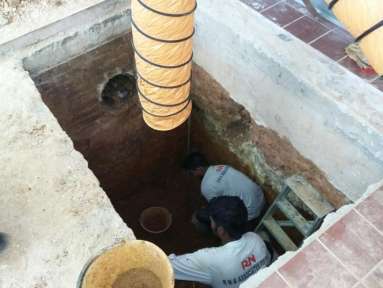 RN & Associates has experience in coring projects requiring up to 1,500mm diameter for sewage (to connect to manholes). We have also worked on smaller projects where requirements are about 40mm, for air ducting or telecom cables and gas pipes. Working with a team of affiliated consultants and Professional Engineers (PEs), RN & Associates has extensive experience in A&A works and design & build projects. 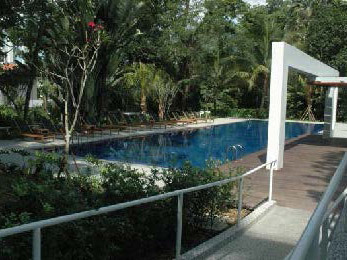 Our clients include Far East Organization and other renowned developers in Singapore. These works range from upgrading projects, such as façade enhancement, to additional services such as the addition of basic finishes and glass panel installations. We have upgraded commercial buildings and designed and built residential bungalows and terrace houses. Whether building on existing structures or having a complete tear-down and rebuild, RN & Associates has the required expertise and experience. RN & Associates has worked with a number of clients to repair and maintain existing buildings and other structures that may be getting on in age. We have been the term contractor for SMRT since 2007, and count PSA and LTA as our clients. 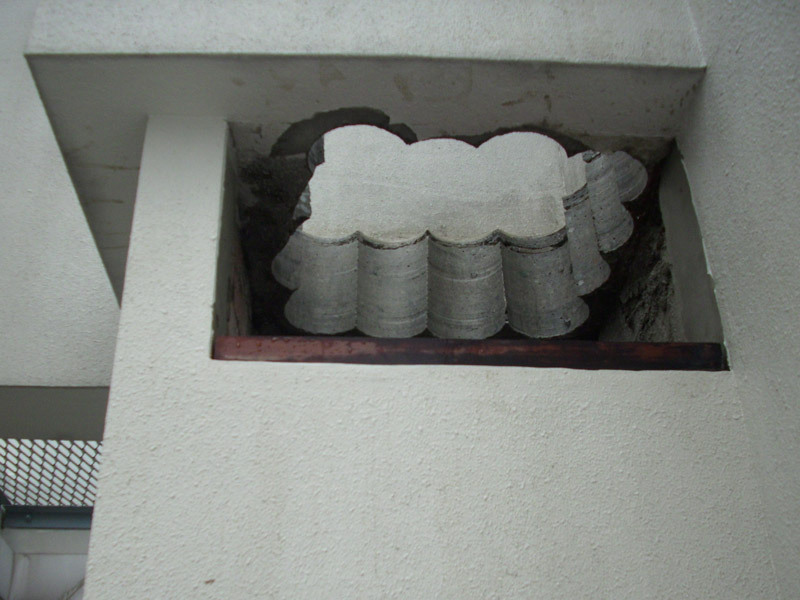 Our work includes strengthening a deteriorating building by reinforcing the columns in it. If required, we remove parts that are problematic and add new high-strength reinforcements. Steel bars are used to replace those that are weakened through peeling over the years. Where possible, old steel bars may also be treated to avoid further corrosion. Working with a Qualified Professional, we will help design the best way to repair or strengthen a building, extending its life while ensuring the safety of occupants. For clients seeking to connect a building’s waste and discharge facility to the public sewage mains, RN & Associates facilitates such utility works by penetrating structures or grounds to provide access. With experience in both new and old developments, we have laid new pipes as well as created the underground ducts required for a sewage connection. This is necessary for buildings that may be developed on top of existing sewage line, which are required to create a diversion before piling commences. Our clients for sewage diversion works include Far East Organization in Singapore. 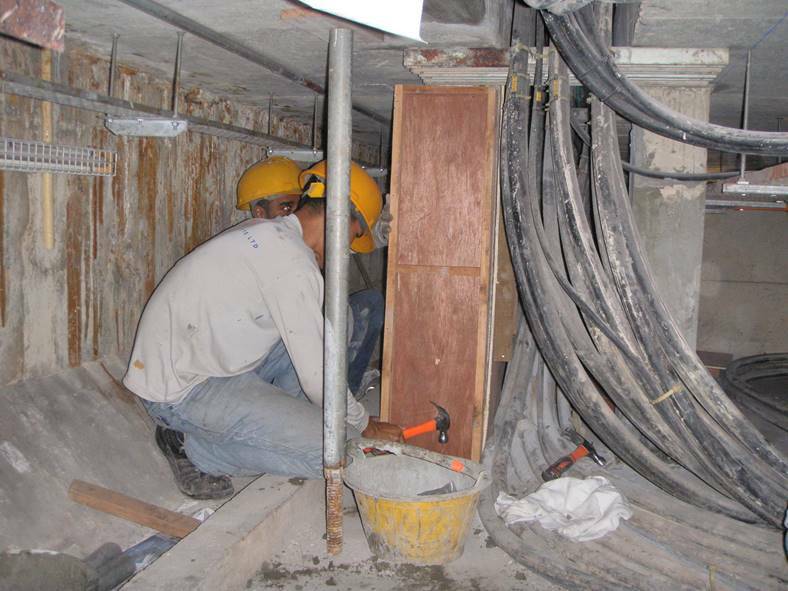 As a trusted partner, we are contracted by SMRT to carry out a wide range of maintenance and repair works. 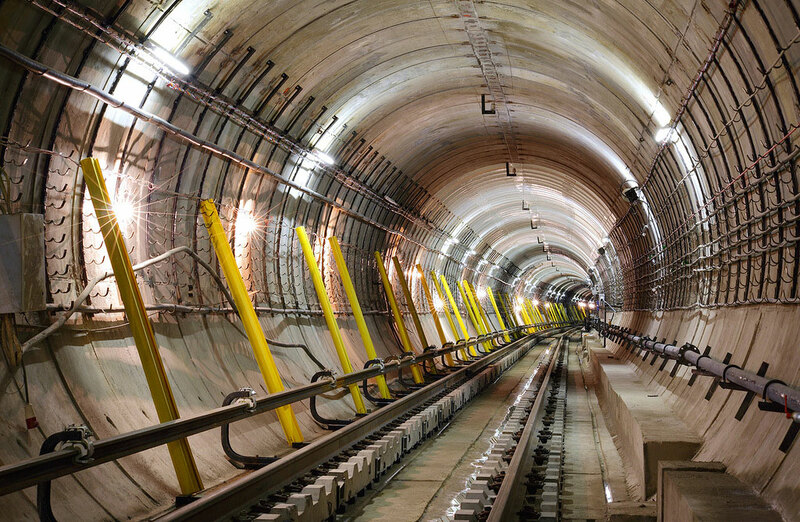 We also offer expertise in other tunnel and track services, as well as maintenance work on the surface. At the Lakeshore condominium, we were involved in facade rectification works in common areas and the repainting of the entire estate. This was part of our range of A&A services. 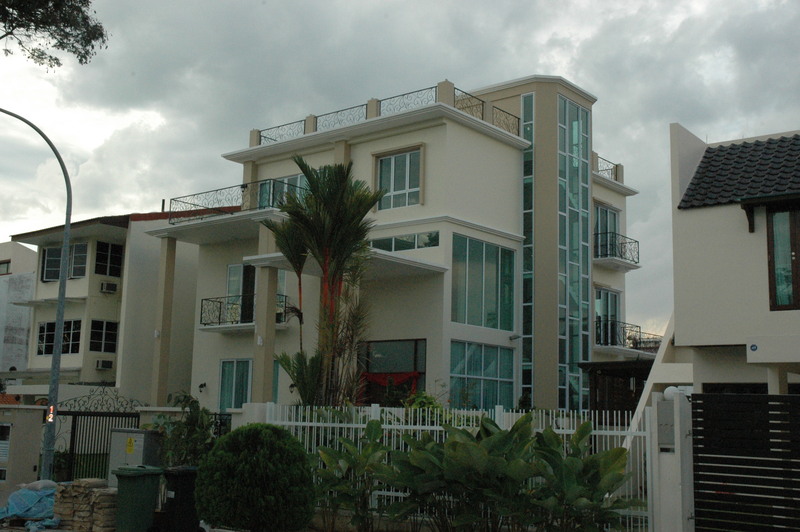 As part of our design-and-build services, we provided the architectural and structural design as well as the building of a three-storey bungalow in Sennett Avenue. This was from an empty plot previously occupied by a semi-detached house. ultricies in, diam. Sed arcu. Cras consequat. RN & Associates has been specialising in building-related repairs, renovation, maintenance and replacement works for over 20 years. Starting out as “Richard Ng Building Management & Renovation”, under a sole proprietorship in 1985, we expanded in 1992 with robust economic growth and an increase in capital and manpower resources. On 5 October 1992, we were incorporated as RN & Associates Pte Ltd in Singapore, under the Companies Act. Cap 50. Our unparalleled expertise comes from working for both the government and private sectors, with projects such as offices, condominiums, apartments, warehouses and schools etc. Our long list of references includes well-known local institutions such as SMRT, PUB, CAAS, PSA, Power Senoko Ltd and National Parks Board. The company also provides additional services such as reinstatement works to building finishes, furniture making, metal works, interior design, and plumping & electrical works. In addition, we will submit any plans or drawings, on your behalf, to be approved by the various government agencies. We are expanding beyond our traditional services. Being affiliated with well-known certified professional engineer Mr. Chen Hao enables RN & Associates to expand in the growing areas of consultancy work and building inspection in the industrial sector. Our customers in this area include developers, turnkey, and design & build clients. 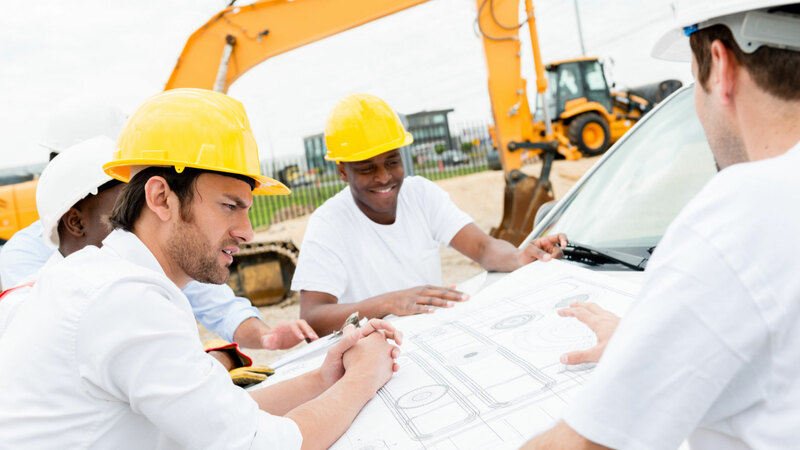 In this area, we offer professional services such as environmental analysis and feasibility studies to determine the scope of the building project, and assist in legal and technical issues like construction contracts and drawing of specifications. In recent years, we have branched out to take on A&A projects, successfully completing numerous projects with both the private and government sectors. Our clients include ITE College, SMRT and Far East Organization. In order to meet the strict requirements set by our clients, all our workers undergo continuous training and are specialised in their field. The management team is led by Richard Ng, a veteran with over 30 years of experience in the construction and civil engineering industry. His skills, strong operational and project capabilities as well as his innate ability to identify potential problem areas and minimise risks for his clients have placed him above the competition. A highly sought-after independent expert witness, Richard is regularly requested by individual clients and lawyers to give his opinion in arbitration, adjudication and mediation cases, in his personal capacity.